Having a break away from caring is vital for carers. Carers who have regular breaks are more likely to be able to care for longer and stay fitter and healthier. 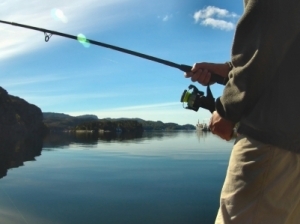 A break doesn't have to mean a holiday - it can be as simple as having some time away from your caring role to catch up with everyday things like meeting up with friends or family or going shopping. Having a break can also be a positive experience for the person you look after; it could be a chance for them to meet some new people or provide a welcome change of scenery or routine. Make a Difference service provides funded breaks for carers. This is is run in partnership with both NHS Clinical Commissioning Groups in the county. Speak to your GP for more information. 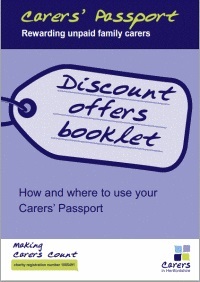 Discounted breaks via our Carers' Passport service, which also offers hundreds of discounts in shops and when using services. To apply for your Passport click here. To view the breaks and offers click on the booklet image. Courses and workshops: these are tailormade for carers to arm you with confidence in your caring role and give you a break to pursue a hobby or interest. We can arrange help with transport and alternative care costs to enable you to attend.